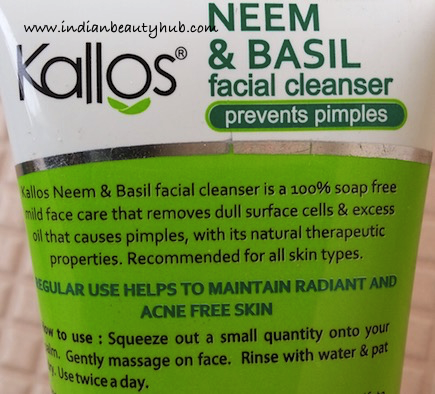 Hey everyone, today I’m reviewing the new Kallos Neem & Basil Facial Cleanser which I received a month back from the brand. Kallos is a new beauty brand, launched by the popular Indian sweets and snacks manufacturer Haldiram. Kallos offers an affordable range of face wash, scrubs, moisturizers, face packs and more. You can visit their website Kallos.co.in for more details about the products range. 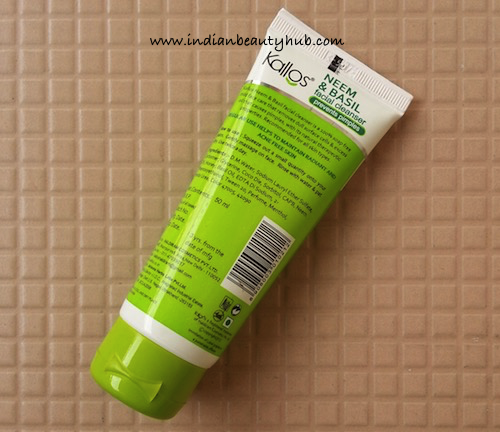 Packaging: Kallos Neem & Basil Facial Cleanser comes in an easy to use tube packaging with a flip cap. I liked its hygienic, convenient to use and travel-friendly packaging. 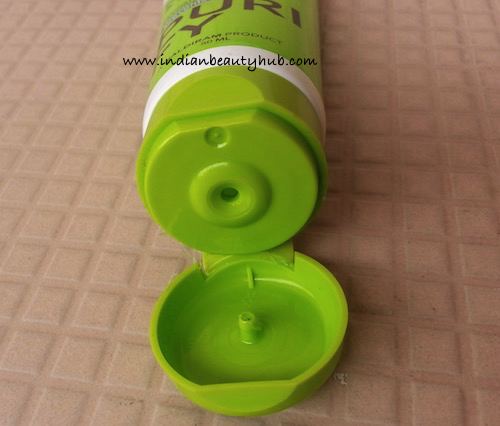 All the product related information like product claims, usage, ingredients list, price and expiry date is also mentioned on the tube. Texture & Fragrance: Kallos Neem & Basil Facial Cleanser comes in a tinted green gel form. It has a herbal mix kind of fragrance (exactly like medimix soap) which is not very strong though. 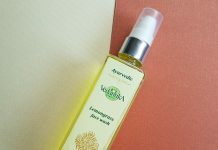 Price & Availability: The price of the Kallos Neem & Basil Facial Cleanser is Rs.50 for 50ml. 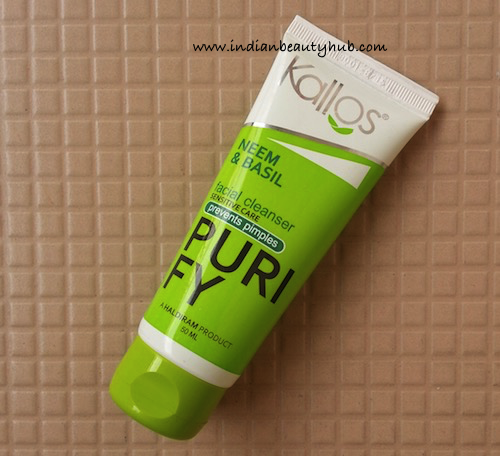 Efficacy: Kallos Neem & Basil Facial Cleanser is a gel based face wash that cleans the skin nicely. It forms enough lather and removes dirt, oil and other impurities from the skin. It doesn’t make my skin dry or stretchy and leaves my skin dewy soft. It is a mild cleanser, so it doesn’t remove makeup completely. One thing which I didn’t like about this face cleanser is that you need to splash a lots of water to get rid of slippery feeling from the face. 100% soap-free face wash that removes skin impurities nicely. Enriched with neem and basil. Comes in a convenient to use tube pack. Not easily available at stores or online shopping websites. 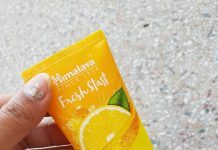 Doesn’t give squeaky clean feel, not ideal for oily skin during the summers. All in all the new Kallos Neem & Basil Facial Cleanser is a mild daily face wash that does a pretty good job in cleansing the skin. But you will get the same result from Himalaya Neem or Garnier Pure Active Neem face washes. 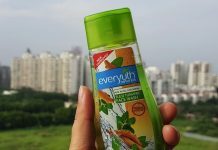 It is not a must buy product, but you can definitely give it a try in case you want to switch your current face wash and want to try a new one. I’m not liking SLS these days…except that it looks great :) Nice review dear.,.